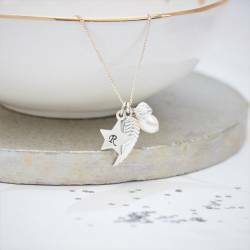 A lovely sentiment for a unique Christening gift, special birthday, graduation or a present to mark any milestone event in their life. 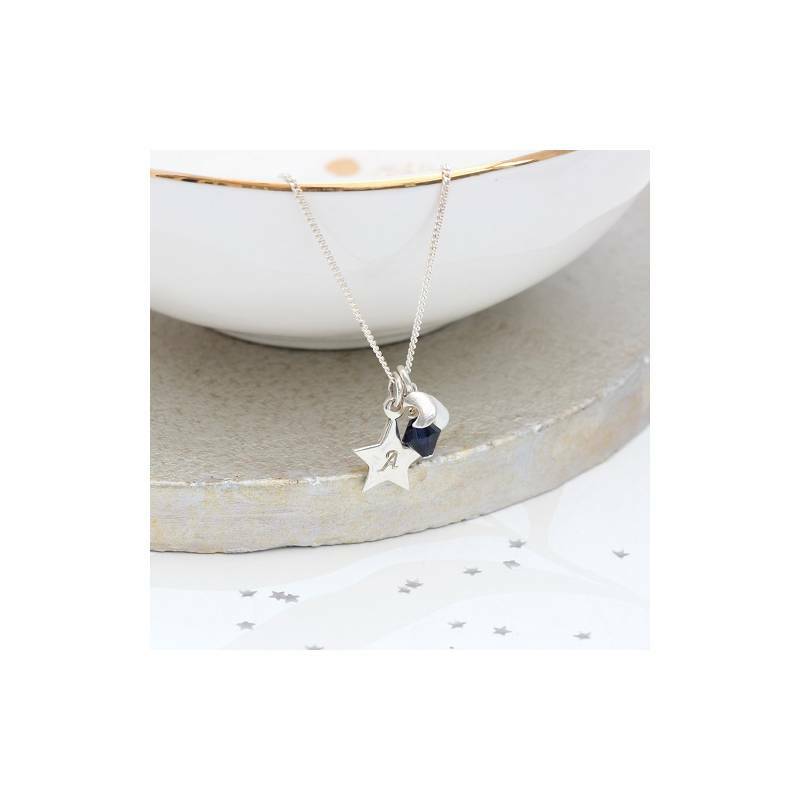 It could also be your something blue for your wedding day or bridesmaids jewellery. 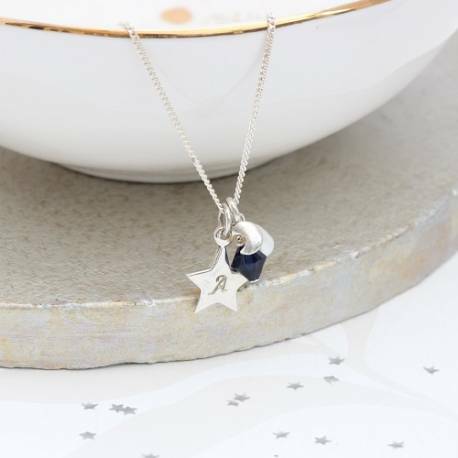 The sterling silver star charm can be handstamped with an initial of your choice or just left blank. Each letter is hand stamped and patinised so it stands out (black finish) or we can leave it silver (clean finish) for a more subtle look. The font used is upper case calligraphy and the letters are approx 3mm high. We can only stamp one letter on the front of each star. Sterling Silver, freshwater pearl and swarovski crystal. 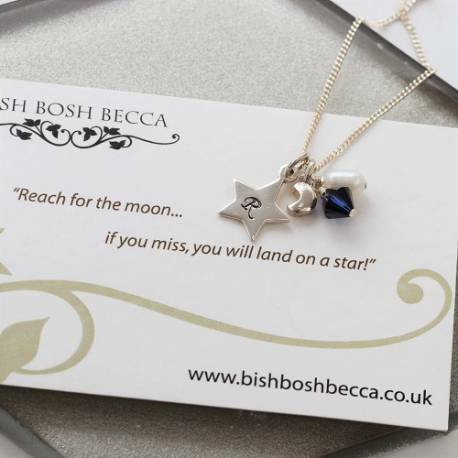 The silver star is approx 1.2cm, the swarovski crystal is a 6mm bicone. The charms hang approx 1.6cm from the chain. The sterling silver link chains are available in 3 lengths: 14"/35cm (childs), 16"/40cm-18"/45cm and 20"/50cm.